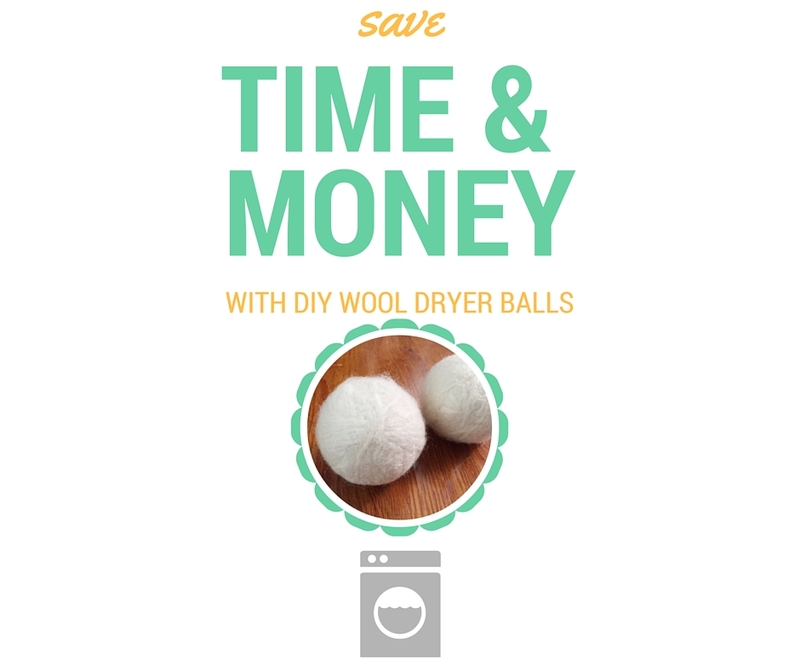 For some time now, I’ve wanted to try out wool dryer balls instead of using the dryer sheets I’ve used for years. These would make great gifts! You probably don’t want this to be the only thing you give a friend, but it would be awesome to include in a gift basket. 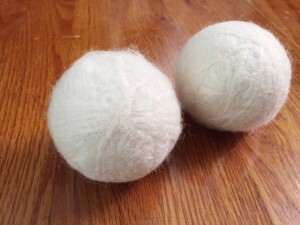 There are a few reasons I wanted to make the switch from dryer sheets to wool dryer balls. 1. Less toxins. Dryer sheets are filled with toxins and added scents. Our family has started using a lot of essential oils, and I honestly prefer those scents to artificial scents. 2. Save money and time. Dryer balls create a better environment for your laundry to dry by moving the laundry around during the dry cycle. This can decrease the time it takes to dry by allowing the warm air to get to the deep pockets of the laundry. Saving on dry time means a lower energy bill at the end of the month! 3. Better for the environment. Reduce, reuse, recycle, right? Wit dryer balls, you’re reducing the amount of trash you’re throwing away from laundry, and reusing a new product to take the place of dryer sheets. 4. They’re fun! Your kids will get a kick out of finding the dryer balls in each load of laundry. This craft was so easy to make! I did a good bit of research before starting this project, so here are some tips I have before going into it…. Grab 100% wool from amazon (or another source if you can find it). If it’s not 100% wool, it won’t felt and will end up coming apart in the dryer making a big mess. Maybe don’t risk the color yarn. 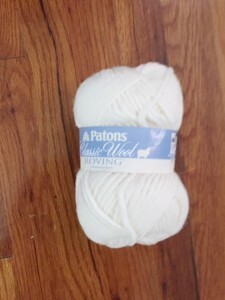 I’m not an expert on this, but I decided to get a white/ivory yarn to avoid the color coming off on my laundry. It sounds super fun to make the dryer balls so they’re easier to find when the load of laundry is done, but I’d be a little worried of my white shirts turning neon green in the dryer. Include more than one per load so they create better air pockets for drying. The thicker the yarn, the better it felts together. 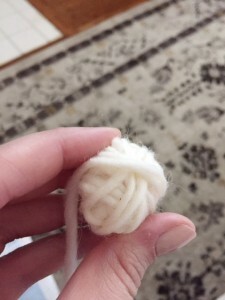 First you start of by rolling your yarn into a ball about the size of a tennis ball. When you’re done with that, tuck the end of the string under a few layers of string so the end of the string won’t come loose in the dryer. Stuff the dryer ball into the foot of the pantyhose and tie a knot above it as close to the dryer ball as you can get (this is so the dryer balls have something separating them and they don’t felt together). Do the same after each dryer all goes into the pantyhose to keep them in place. Put the dryer balls into boiling water for about 10 minutes to get them really hot. 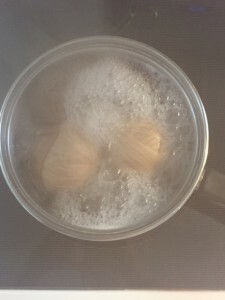 Then throw the dryer balls and the boiling water into a wash cycle on the hottest setting. Make sure you put an entire load of laundry in on the wash cycle. I used a load of towels. 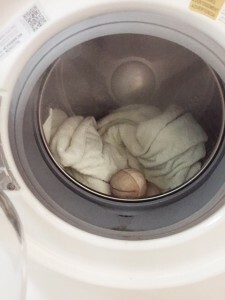 This ensures that the dryer balls will keep their shape during the wash cycle (and you’re not washing an empty load). 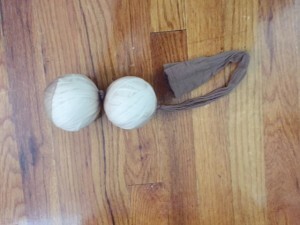 After the wash cycle, remove the pantyhose from around the dryer balls. They’ll be slightly felted together, so you need to use a little bit of elbow grease to separate them. Then dry the load with the dryer balls.